Your whole family will love this recipe for Halloween Eyeball Soup! A couple of years ago when looking through a Martha Stewart magazine – I came across her recipe for Eye Popping Soup and thought it looked like just the thing for a spooktastic October evening! 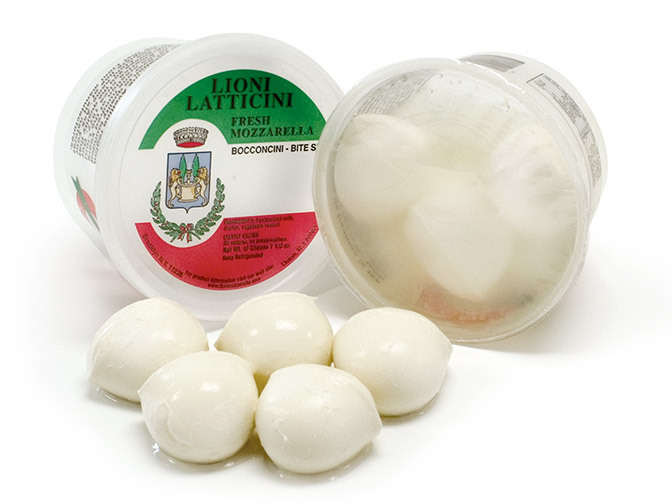 Bocconcini– or as I like to call them – little mozzarella balls floating in stuff. You can find these in your grocery’s specialty cheese section. They are – uh – eyeball size. You’ll have to – uh – eyeball the quantity (heh,heh) you want about 4 or 5 cheeseballs per ghostie. Green Olives – the small ones that are pimento stuffed. 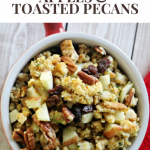 Your favorite bread – I recommend a nice oatmeal, potato, or whole wheat. At my house I need 4 slices per troublemaker. Cream Cheese – spreadable is delightful. Jar of Preserves – aka “guts”. I use “Bonne Maman” brand Wild Blueberry Preserves. Yum. I love Maryline over at “Franco American Dream”just because she comes from the same country as this scrumptious stuff. 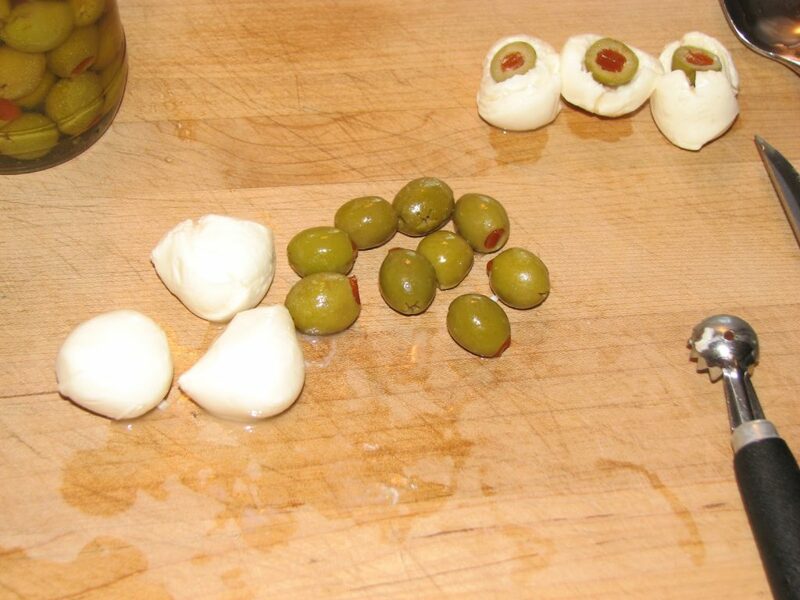 Get out your little white balls of yumminess (aka Bocconcini) and your cutting board, as well as the green olives. Hollow out a space in one of the cheese balls that is about the size of ½ of a green olive. Cut some green olives in half. Place one round side down into the space you created in the mozzarella ball. Warning: these are not going to stay stuck together forever. I make a nice little row of them and leave them be until I’m ready to put them into the soup bowls. Next, begin warming up your not made from scratch but who the heck has time for that what with finding Dracula’s teeth (have you checked the dog? ), adjusting Hannah Montana’s wig, and figuring out how to make the Halloween costume still scary under the 50 lb winter coat? 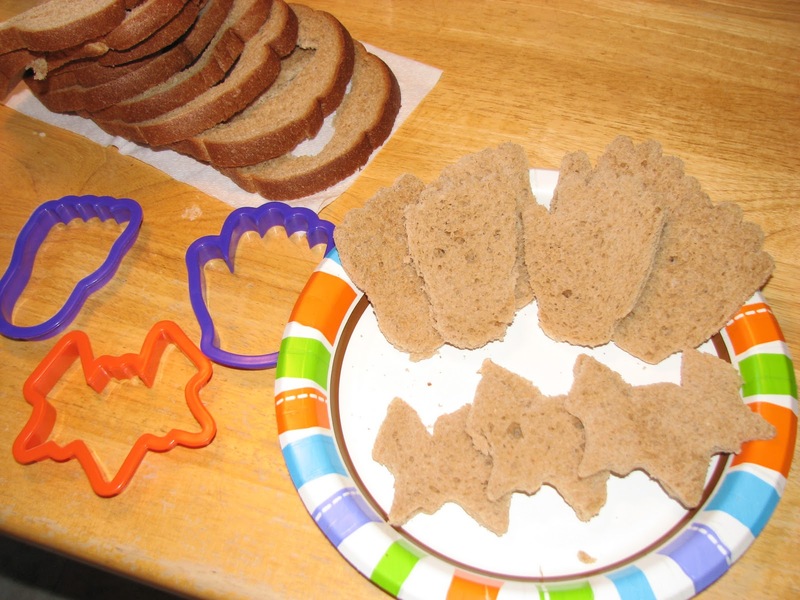 Take your cookie cutters and cut out shaped bread slices by pressing the cutters down on each bread slice. Doing this on a cutting board works best. Little hands can help with this job! 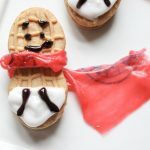 Put those little feet and hands (or whatever you’ve created!) into the toaster oven to get a bit toasty. How’s the soup doing? Spread cream cheese and “gutsy” preserves onto the hands and feet toast and put out on a serving tray. Ladle the heated soup into shallow bowls or ramekins. Take a spoon and gently place the eyeballs one at a time into the soup. These won’t float – so you want to make sure you don’t put too much soup in or they will be “surprise” eyeballs. 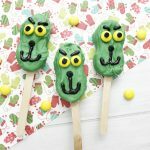 Warning: These eyeballs are definitely too big and chewy for little ones. You might make a smaller eyeball or eyeballs by getting crazy and creative with the cheeseballs or just cut up the cheese before they eat it. You’re all ready for “Eyeball Soup with Gutsy Hands & Feet”! Make sure to go visit Cate over at Real Life With Kids! Eyeball soup!? How did I not think of that?? Thanks for thinking of me as you wrote this. I have to tell you, not only Bonne Maman is pure amazing jam, the brand also makes exquisite biscuits and treats of that sort — to die for. Next trip to France I swear to spend an entire day in a grocery store to shoot everything I cannot find here in the US! 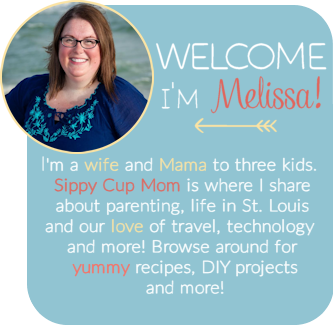 Awesome job and thanks to sippy cup mom for hosting! Oh Cate! I love this so so much! 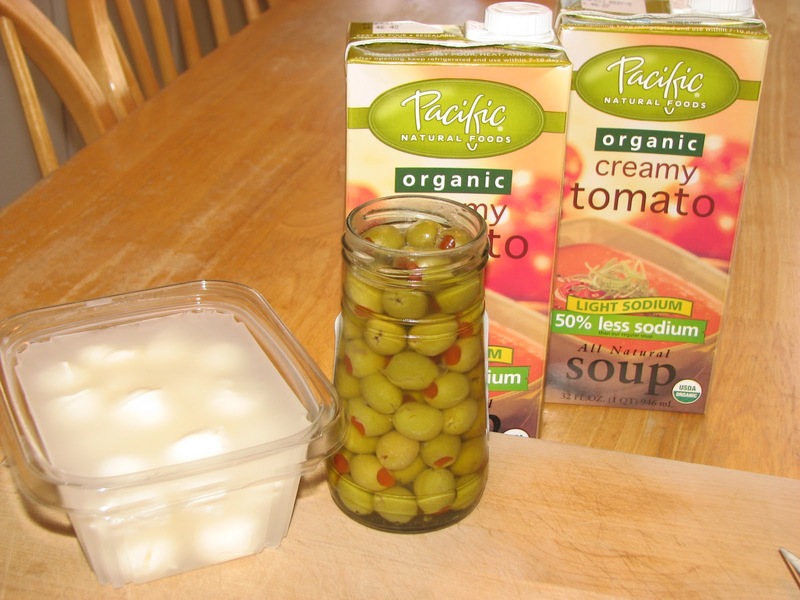 I think, even though I don't cook and I've never even heard of Bocconcini, I might try this. My boys might actually eat it because of the wow factor. 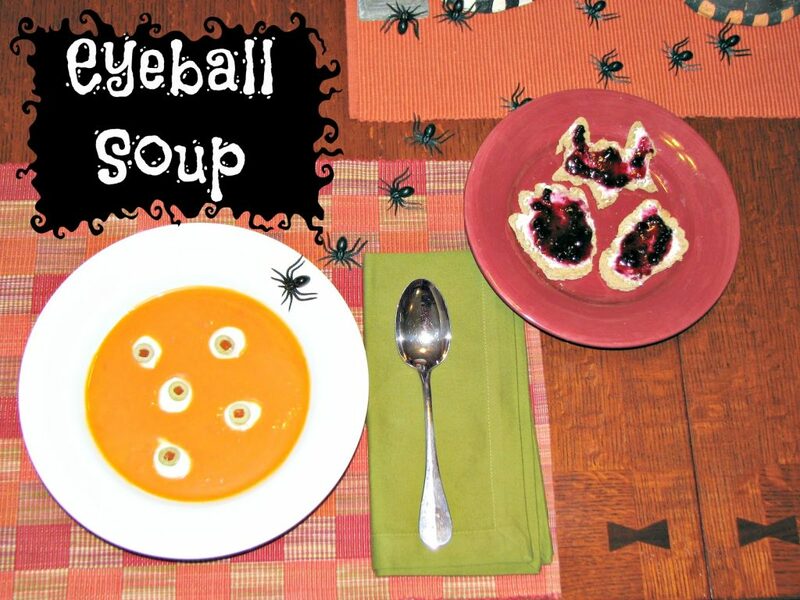 Love the eyeball soup! Very easy and Bocconcini sounds good.. I’ve never tried it! I love it! They look exactly like little eyes staring up at you from the bowl! Now… if everyone only like olives! LOL! Wow, totally cool!! 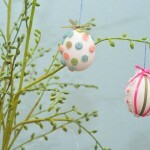 I am going to make this for my kids, they would LOVE it! What an adorable idea! Ooh, what a positively creepy and oh-so perfect Halloween idea! That eyeball soup is creepy cute! Fun idea! How fun! This looks really creepy – just right for Halloween. Thanks. What a cute idea I wonder if my son would eat this because it looks cool. He is quite the picky eater. Ha!!! This is just too fun and creepy! 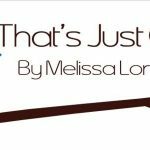 Love your idea, Melissa! This is so cool! 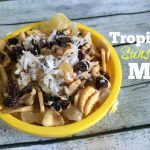 We will definitely be making this this year! !